Do you ever daydream? Does your mind wander off and imagine a happier place, your future goals or colorful dreams? Mine does for sure and mostly during very stressful moments in my life. In reality, it is actually a wonderful coping mechanism. During a ridiculously crazy day with the kids or work, when cooking dinner I tend to dream of a time when life won’t be so busy. This DREAM coloring page represents a piece of what goes on in my mind as I let it drift away sometimes. Coloring can be very therapeutic to force yourself and your children to slow down for a few minutes and just live in the moment. I absolutely love to color with my children. Whether it be coloring in a picture or drawing together, it is such a cozy time for me no matter what the age. For the little ones, it forces me to stop what I am doing and sit for awhile next to them. Sometimes, they may not even want help, they may just want me to watch them color. For the older ones, we will color and chat. These are the memories of parenting a young family that I will cherish forever. Let your mind wander as you color in your dreams. 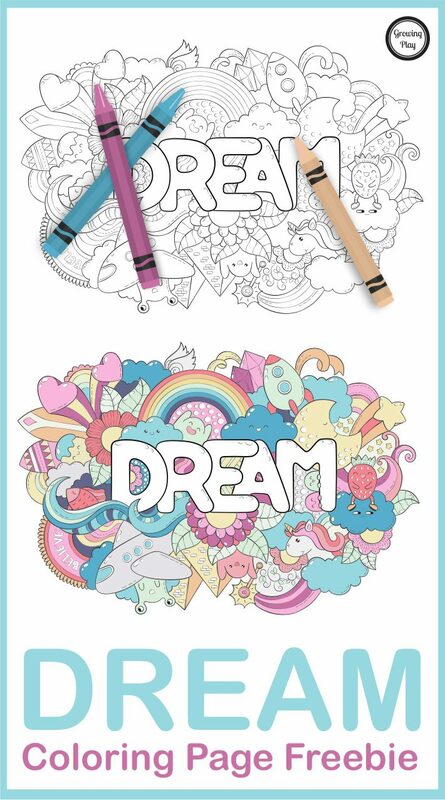 You can download your FREE Dream coloring page here. Check out the Inspirational Coloring Book for more relaxing coloring pages. 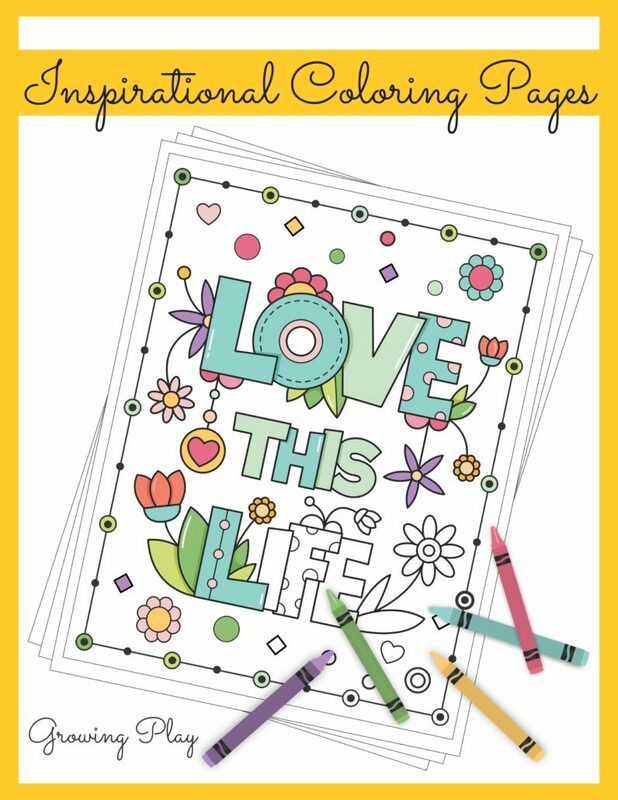 The digital download includes 25 simple coloring pages with inspirational messages. All the pages are in black and white. Get your Inspirational Coloring Book here. 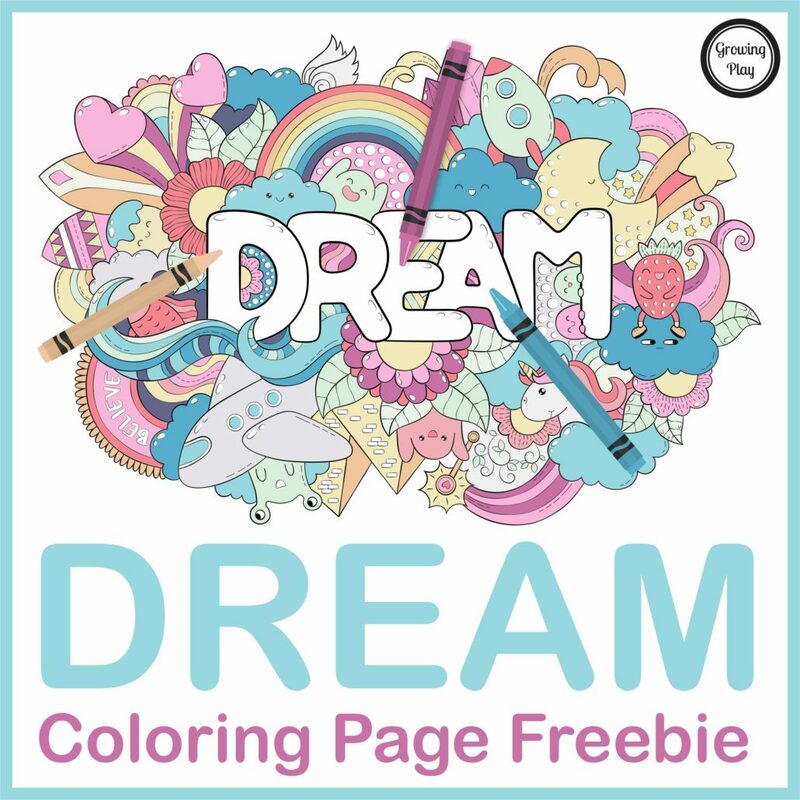 Artwork for Dream Coloring Page by H Art used under Shutterstock License.